A proper headstone is in the works, I promise. 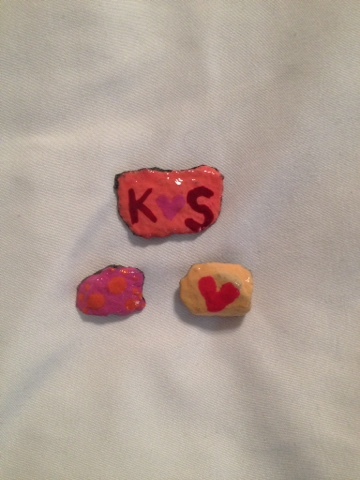 But in the mean time, I've gone off the deep end in painting little rocks to decorate your spot. Really, it's just that the painting occupies my hands and head when I get particularly upset with missing you in the evenings. 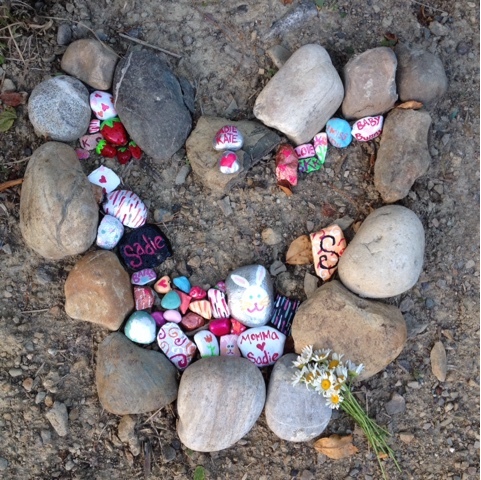 This week I went out to see you, or your spot rather, and brought all of the little stones that I've painted so far. Evidence in technicolor that I miss you A LOT! Just little bits and bobs that remind me of you, my baby bunny. You brought such exceptional joy and delight to everyone who ever came in contact with you. 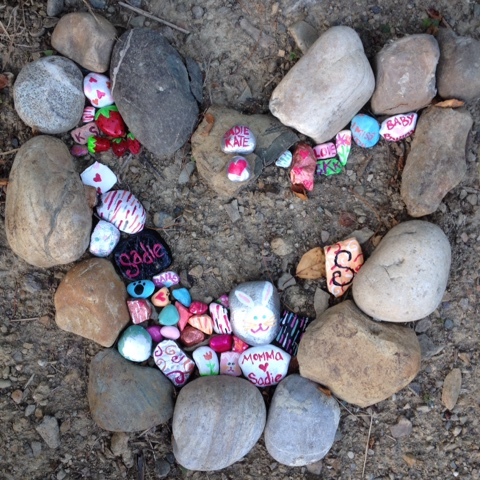 It seems fitting that your special spot is full of bright colors and cheerful love notes. All the pretty colors and all my love for you!